The City of Keller, Texas maintains a water quality and control policy to ensure that all citizens of Keller are provided with clean, potable water. To that end, Keller has a Backflow Testing and Backflow Prevention Program, designed to make sure that the harmful effects of backflow never foul the city’s water supply. Keller city officials work closely with the TCEQ (Texas Commission on Environmental Quality) to make sure that the Keller Public Works Department meets state and federal standards to obtain, treat and deliver water. 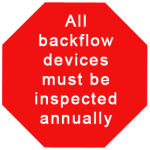 The city’s water system has a Cross-Connection Control Program and inspections are made annually of all backflow devices. City Backflow Testing is licensed and certified to conduct annual backflow testing in the city of Keller, Texas.